Exploring the outdoors is a MUST in my book. Rather we go on nature walks to find treasures, spending time at a playground or take a trip to the local zoo, outdoor play is essential part of childhood. 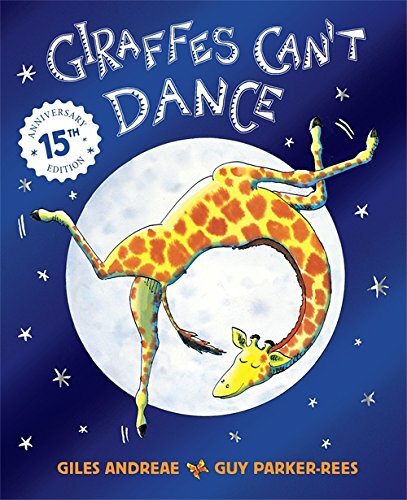 This summer I read Giraffes Can’t Dance by Giles Andreae and Guy Parker -Rees and instantly fell in love with the story. If you have a child who struggles to fit in or feels like no one likes them, I would take the time to read this story. It celebrates UNIQUENESS and being who you are created to be. A WIN WIN in my book. Host a Dance Party. Add a little twist by playing Freeze Dance where the child dances until the music stops and has to freeze like a statue. It will keep the child listening, laughing and dancing. Older children will want to look at your hands so they know when your are pausing the music so keep them guessing by dancing crazy yourself. I’ve created a Just Dance Playlist to get you started. HAPPY DANCING!!! Sign up for free activity ideas from Creative Nannies here.